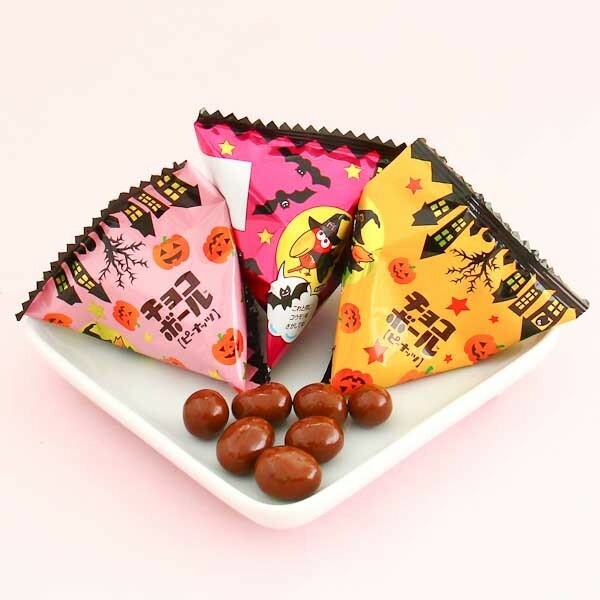 These delicious chocolate snacks are made by major Japanese confectionary Morinaga! They are very popular in Japan and these days available in a wide range of flavors. This package contains peanut centered balls covered with chocolate. Yummy! Kyuro-chan, the mascot bird for these chocolate candies, make the packages look super kawaii! 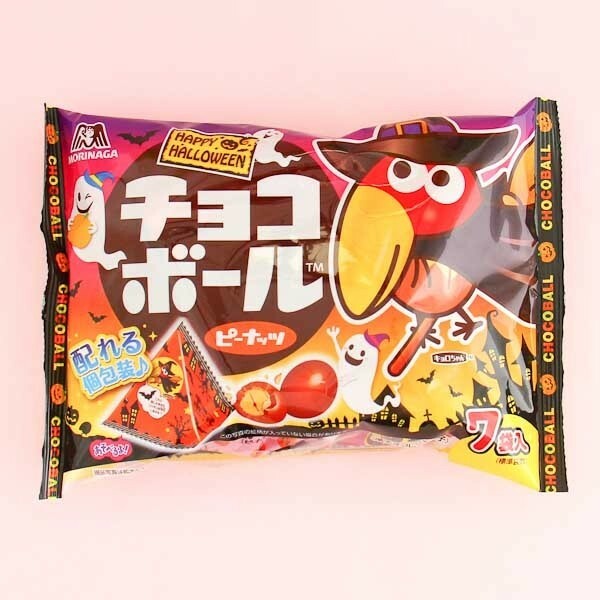 In the special Halloween edition, Kyuro-chan is dressed up as a witch and have his ghost friends with him! 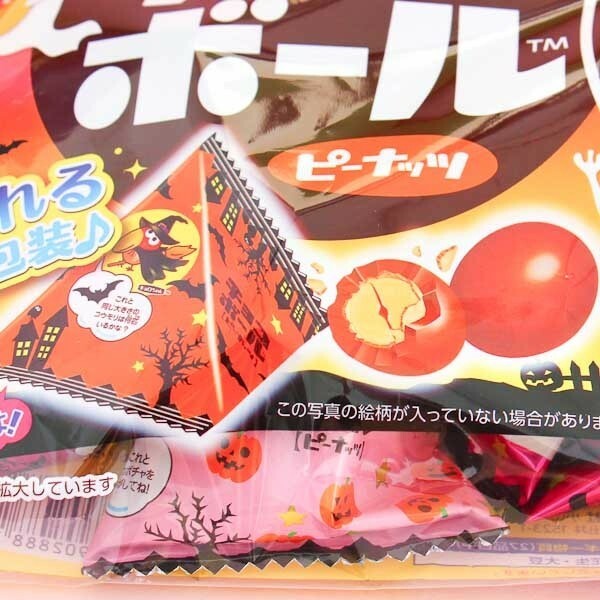 The package contains 7 candy bags with cute Halloween illustrations. Perfect for trick-or-treating!